The Green Grid is an industry organization focused on providing metrics, tools, and initiatives that enable the ICT industry to improve operations, increase efficiency, and deliver more sustainable products and services. 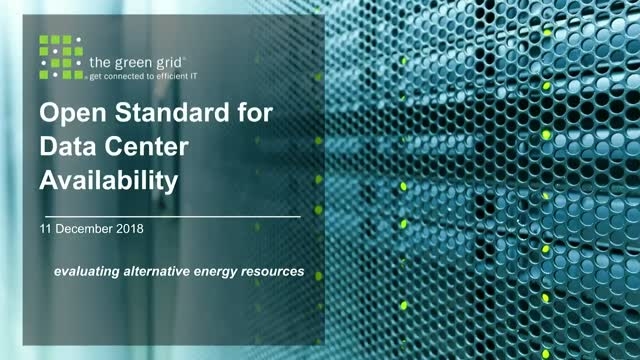 Targeted at Data Center Designers and Owners/Operators, The Green Grid’s new Open Standard for Data Center Availability (OSDA) tool promises to modernize data center availability classification and rating, similar to how PUE modernized data center power usage. Free for anyone to use, the tool will enable data center professionals to evaluate sustainable energy source availability.